We all know we should drink more water, but sometimes we get bored with the taste. Or perhaps we drink our city’s tap water, which isn’t always the healthiest choice. According to the Environmental Protection Agency, cities across the United States use over 60,000 different chemicals to treat municipal water, but only 91 are regulated by the Safe Drinking Water Act. Getting our eight to ten glasses of water can be delicious, healthy, and fun. Here’s how, and at the bottom, you’ll see my top choice for healthy water. Not all water hydrates the body. Tap water and bottled water have a low pH, lack essential nutrients, and are full of chemicals added during the sanitation process. You don’t want chlorine and fluoride in your system, and tap and bottled water gives you both. Bottled water is simply tap water that’s been put in a nice-looking package to entice you to buy. Please use metal bottles, as plastic bottles leach toxic chemicals into the water. When you filter your water, it’s healthier than bottled or tap, but you need to know what you’re buying. Refrigerator and faucet filters are helpful, but they don’t alleviate the pH problem. Also, most of the filters you buy at the store don’t remove fluoride. Keep reading to discover the water that I rate best for hydrating your body. And if you need help determining how much water to drink, try this formula. A little flavor goes a long way. If you’re trying to kick the soda pop habit, try sparkling or carbonated water with some lemon or lime juice. You can use a Soda Stream to carbonate your filtered water. If you have sugar cravings, you can use a very small amount of fruit juice in your water to give it a little flavor. By “very small,” I mean less than ½ teaspoon per eight ounces. Steeping your favorite fruits and vegetables in water and adding herbs gives you not only delicious water, but also water-soluble vitamins and essential minerals. Your imagination is your only limit—you could mix strawberry and mint, orange and lemon, or lime and cucumber. 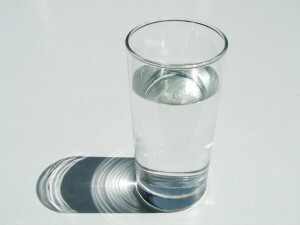 A typical recipe calls for a pitcher or large jar with your choice of ingredients and 10 cups of water. Feel free to make it as weak or strong as you like. Kangen™Water is my top choice for my friends, family, and patients. It hydrates the body six times better than plain tap water, has a high pH (better for the body), and boasts antioxidant properties. You “make” your water fresh as you drink it. Kangen™Water is live water—microclustered, hexagonal, ionized water that is full of oxygen and minerals. Kangen™Water is a Japanese medical device made by Enagic that has been used for almost 40 years. The water has been shown to improve insulin sensitivity and control blood sugar, protect the body from oxidation, promote healthy bacteria in the digestive tract, and protect from DNA damage. Most of us are dehydrated, which causes us to be fatigued and in pain constantly. The right water truly is a miracle drink that can help prevent disease and give you a new lease on life. For more information on Kangen™Water and how it can help your health, contact us today.